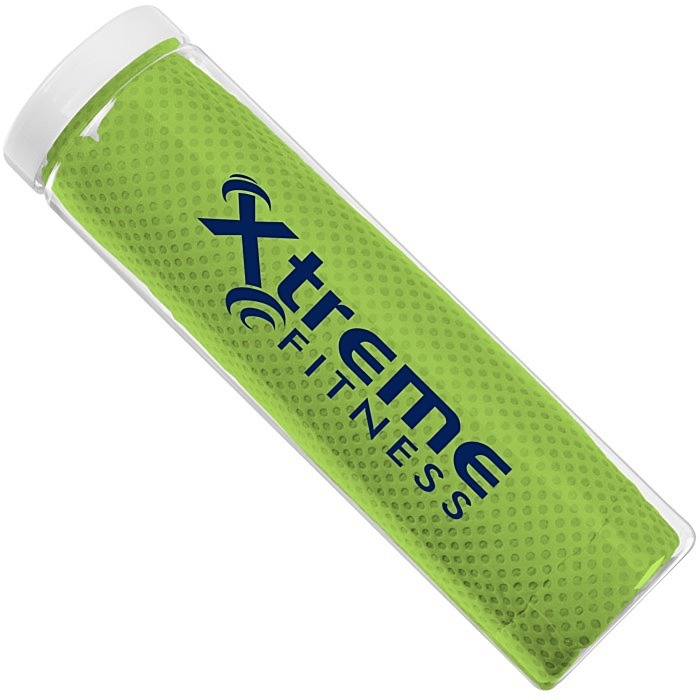 Keep things cool with this promotional towel! 6 colour(s) to choose from! 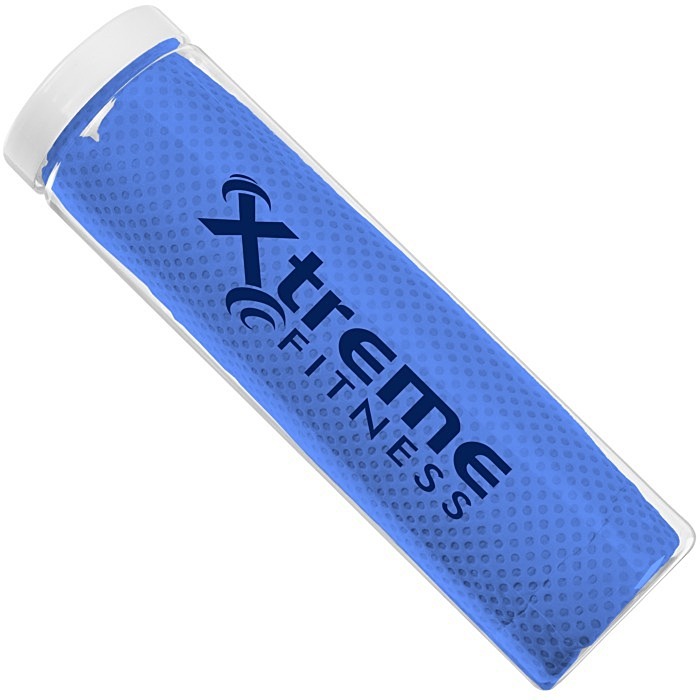 This cooling and drying towel is the perfect size and is made to drape over your neck during a workout. Great for keeping you cool during a round of golf, run or other exercise activity. Made of a soft PVA material that is designed with a mesh-like construction, for a perfect non-slip wear. 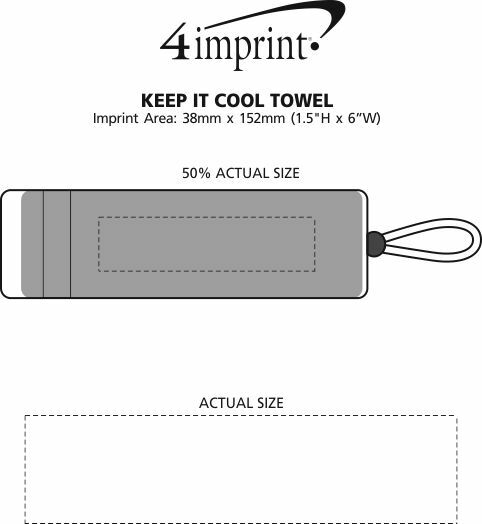 Towel measures 660 x 431mm (26" x 17") — a large size that slopes easily over your shoulders. To activate the cooling technology, simply rinse the towel in water, which allows the moisture to evaporate and continue cooling you for hours. Retains water while remaining dry to the touch. The towel is reusable, just rewet the towel when it begins to dry out. Comes in a plastic case that can be used for easy and convenient storage. Size, case: 76 x 254mm (3" x 10"). Your price includes a one colour imprint on the front of the case, horizontal. Ready to ship in : 7 business days *. Visit 4imprint.ca or call toll free 1-800-300-1336 to order or for questions.